Denys Blacker is a visual artist whose practice spans performance art, drawing, sculpture and video. She holds a BA (Hons) Fine Art, Sculpture from WSCAD, Surrey, England (1981-84) and an M.A. Fine Art, Sculpture from Chelsea School of Art, London, England (1984-85) and recently was awarded her Phd from Northumbria University, through a practice-led doctorate investigating Synchronicity and Consciousness in Improvisatory Performance Art Practice. She has presented her performance work for over 30 years in Spain and internationally. Recent performance works include Thin Ice at the Days of Performance in Lviv, (Ukraine), Ten at OUI Performance at York Guildhall (England), The Three Roses in the Interakcje Festival at Pietrkow Tribunlaski, Poland, Birds in the Head, a reinvention of the group performance Birds by Allan Kaprow, in collaboration with Fundació Antoni Tàpies and la Bonne in Barcelona, Extensions Series with the Wolf in the Winter, Museum of Art Oxford, England and at Fierce Festival, Birmingham, England. 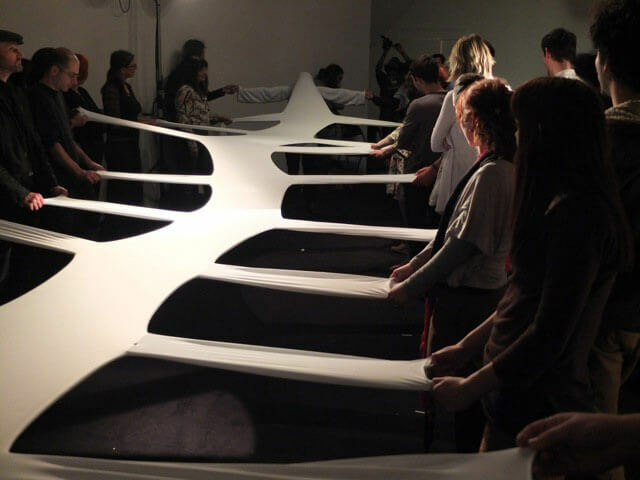 Vincular Mind: Sensing, Feeling and Making is an elastic sinuous psychic bond that allows for individuals in all their distinctness to move together, think together, feel together, to sense and make sense. This is a mutual synergy where each part is enhanced by summing their contributions with/to the other. We can imagine this as psychic threads that bind and animate us, articulate, tie and flex, offering us leverage, counterbalance, elasticity and suppleness. In this workshop, we will explore the implications of engaging with embodied, intuitive ways of knowing in relation to each other and to our environment as well as examining our individual and communal capacities for intercommunication.